Colby Sharp and I hope you will visit your public library or an independent bookshop to pick up a copy of Kirby Larson’s Newbery Honor-winning novel, Hattie Big Sky. “See” you in September. 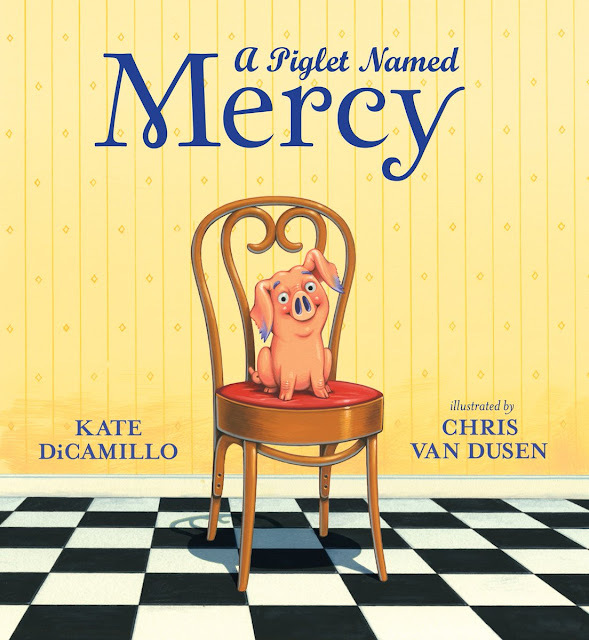 Please visit NerdyBookClub.com to read Donalyn Miller's review of Hattie Big Sky. Hey, Mr. Schu -- you scored a pre-award copy of the book. I'm sure it's worth millions. I'm working up my courage to join the bookclub chat on September 5. First I have to practice! I am looking forward to this selection! 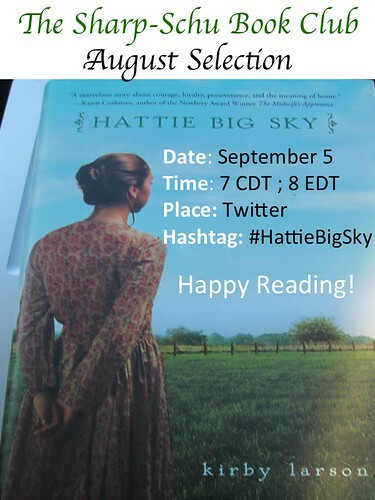 I've always wanted to read Hattie Big Sky! Can anyone join? Even middle-aged, high school English teachers? I read it yesterday. Had to stay up late to finish it. I loved it! Looking forward to the book club "meeting"
I read it yesterday. I had to stay up late and finish it because I couldn't put it down. I'm looking forward to the book club "meeting". It will be such a delight to have you join us for the Wed. book club twitter chat. Thanks for taking courage with your writing of superb historical fiction and trying twitter!